Spring is an excellent time for new or frequent visitors to enjoy Sleeping Bear Dunes National Lakeshore. From signs of spring at the farmsteads of Port Oneida learning about returning migratory birds along Lakeshore’s magnificent trails, a Ranger-led hike in the park can be a great way to spend a Saturday afternoon. 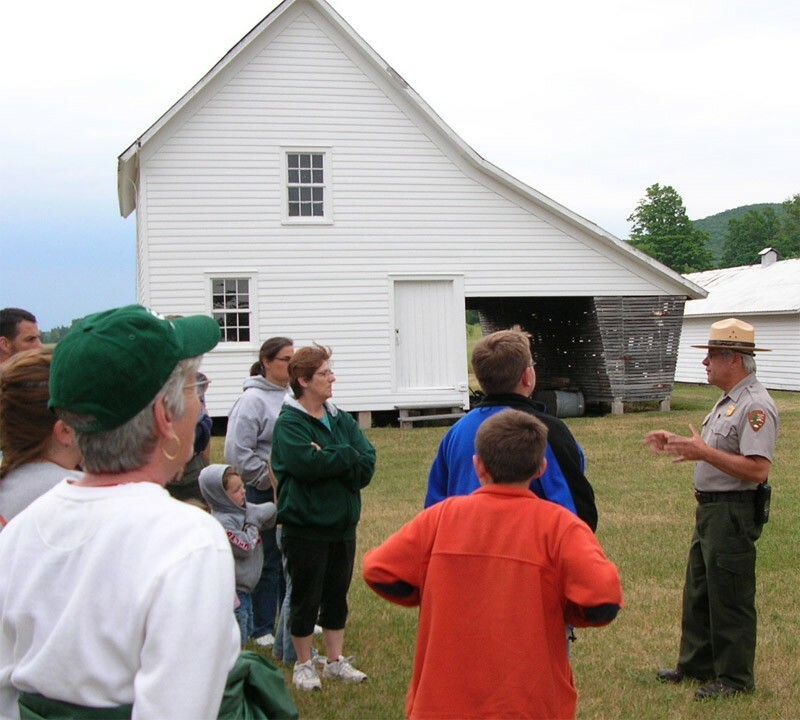 Every Saturday afternoon at 1 PM you can meet a Park Ranger at the Philip Hart Visitor Center in Empire. They’ll introduce the afternoon’s topic and then lead a car caravan a short distance to where the walk will begin. Each week features a different topic and location, and hikes last 1 to 1 1/2 hours and are no longer than 1 1/2 miles. Dress for the weather! The Best of Both Worlds (April 7) – Experience the best of both worlds at Sleeping Bear Dunes National Lakeshore. Rangers will take you to a place where history and nature both share the spotlight. What’s the Point of the Dunes? (April 14) – Explore the Sleeping Bear Point Trail and learn why the dunes are here. Picture Yourself at Sleeping Bear Dunes (April 21) – For the official start of National Park Week, join a Park Ranger for a hike with some magnificent views. Bring your camera to capture the scenery. National Junior Ranger Day (April 28) – Join Park Rangers for a day of fun exploring, learning about and protecting Sleeping Bear Dunes National Lakeshore. Events start at 10:00 a.m. and the swearing in ceremony is at 3:00 p.m. The Saturdays at the Lakeshore program is held every Saturday from now until mid-June when summer programs start. Hikes are free. Participants need only purchase the park entrance pass or have an annual pass displayed in their vehicle to join in the fun. Please call 231-326-5134 extension 328 to make reservations and for details, or visit www.nps.gov/slbe visit their Facebook page at www.facebook.com/sbdnl.